Parkour Summer Camps now enrolling! Click here to learn more and reserve your spot; space is limited! 2018 was a big year! We expanded into our huge new indoor training facility and our thriving community has exploded to a new scale. Here are some highlights from this amazing year; thanks for the memories, Innate Movement Community! 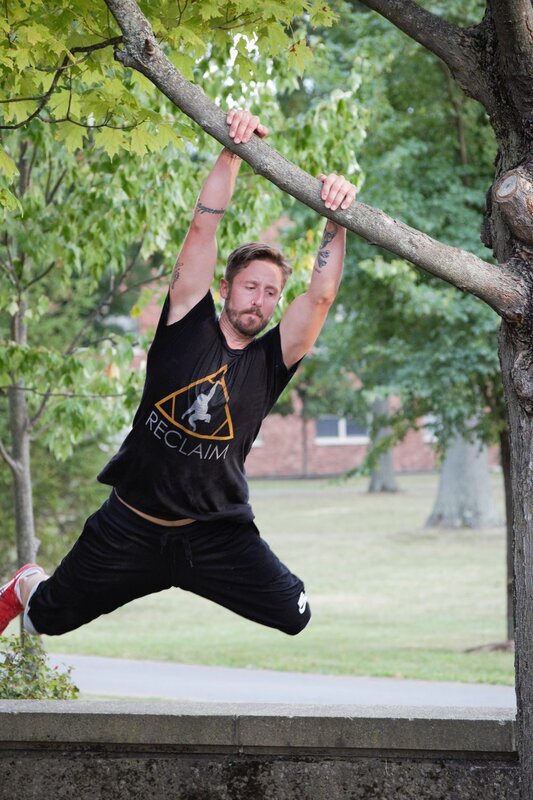 Whether you're seeking an authentic parkour practice, training to be the next American Ninja Warrior, hoping to crush your next obstacle course race, or just looking for a fun way to get fit, Innate Movement is the Hudson Valley’s undisputed leader in obstacle-based movement training. Our gym is the only space in the Hudson Valley designed exclusively for this purpose, and run by A.D.A.P.T. certified coaches who have dedicated their lives to this method of training. Check out our first feature video, Stay Golden! Our entire 3,300sqft facility is specially designed for obstacle-based movement training with hundreds of obstacles and other elements that can be arranged in thousands of combinations to ensure an endless array of interesting physical challenges for any skill level. The facility has wall-to-wall carpet bonded foam mat flooring and is staffed with A.D.A.P.T. 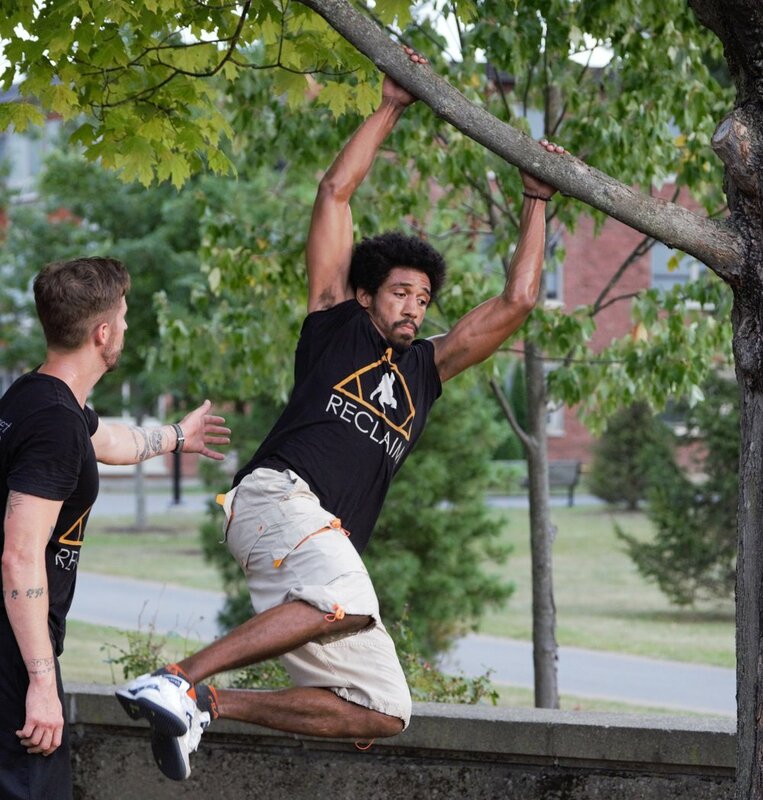 certified parkour coaches who support a community that has a culture of careful risk-management, all of which is geared toward creating an environment that is safe for everyone to challenge themselves and grow as movers. Innate Movement Parkour offers group and private parkour and obstacle course classes in Ulster county and the Hudson Valley. Parkour is a holistic discipline that develops natural movement patterns and supports a healthy lifestyle for its practitioners. It is for anyone and does not require a high baseline fitness level. Our Parkour coaches are dedicated practitioners of this discipline and have trained in the art of teaching it with A.D.A.P.T. (the only certification with the endorsement of parkour's founders, The yamakasi). Safety is our first priority. Recklessness has no place in parkour. Google maps will only get you to the entrance of the campus. Exact directions to our building within the corporate/industrial campus in which it is located are as follows: Enter campus across from Stewarts, pass through the yellow turnstiles and follow our signs to parking lot across from building. Enter building to the right of the blue Kingston Athletics banner and then follow our signs toward the orange walls of our gym and you're there! The parkour gym is MINUTES FROM The New York State Thruway, 45 minutes from Albany, 15 mINUTES from Woodstock, 10 mINUTES from Rhinebeck and Red Hook, 15 minutes from Stone Ridge and 20 MINUTES from New Paltz. Ninja. Warrior. gym.